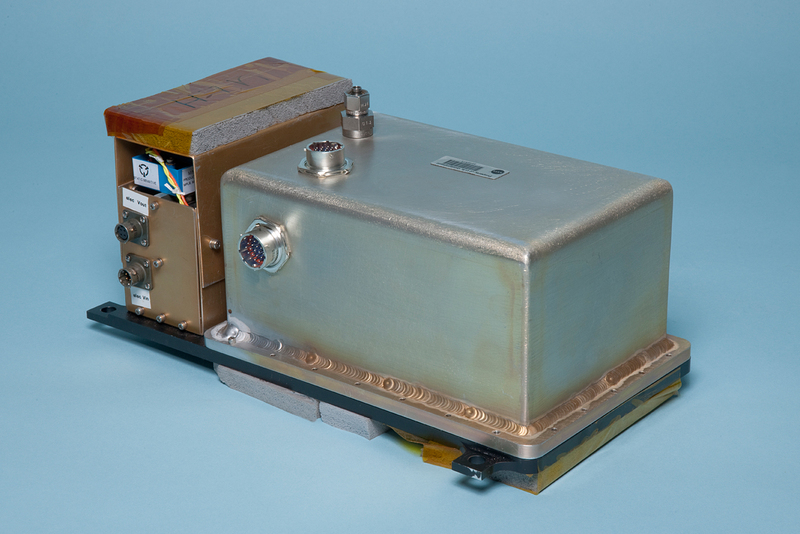 The JPL Laser Hygrometer (JLH) is an autonomous spectrometer to measure atmospheric water vapor from airborne platforms. It is designed for high-altitude scientific flights of the NASA ER-2 aircraft to monitor upper tropospheric (UT) and lower stratospheric (LS) water vapor for climate studies, atmospheric chemistry, and satellite validation. JLH will participate in the NASA SEAC4RS field mission this year. The light source for JLH is a near-infrared distributed feedback (DFB) tunable diode laser that scans across a strong water vapor vibrational-rotational combination band absorption line in the 1.37 micrometer band. Both laser and detector are temperature‐stabilized on a thermoelectrically-cooled aluminum mount inside an evacuated metal housing. A long optical path is folded within a Herriott Cell for sensitivity to water vapor in the UT and LS. A Herriott cell is an off-axis multipass cell using two spherical mirrors [Altmann et al., 1981; Herriott et al., 1964]. The laser beam enters the Herriott cell through a hole in the mirror that is closest to the laser. The laser beam traverses many passes of the Herriott cell and then returns through the same mirror hole to impinge on a detector. May, R. (1998), Open-path, near-infrared tunable diode laser spectrometer for atmospheric measurements of H2O, J. Geophys. Res., 103, 19161-19172, doi:10.1029/98jd01678.